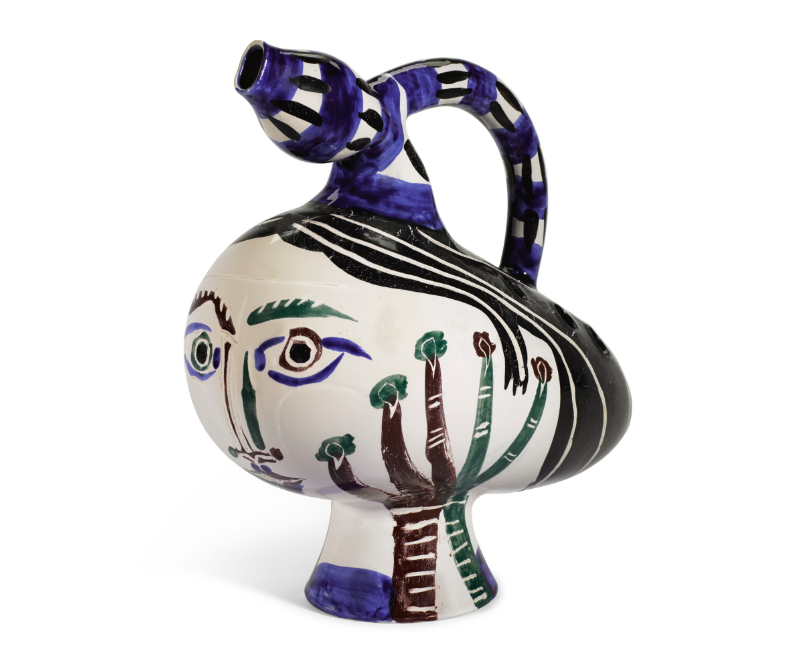 Pablo Picasso’s daughter Paloma once said: ‘We had a menagerie in the house. 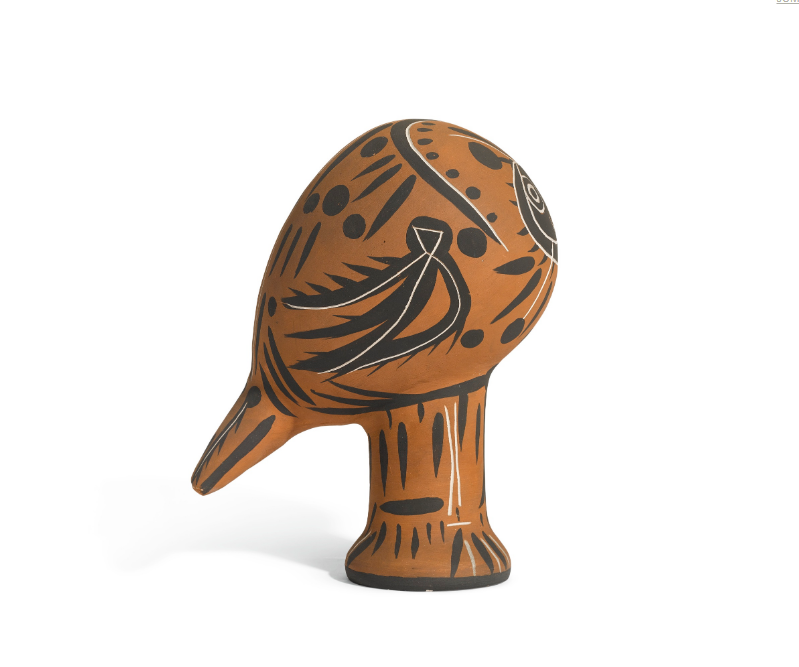 My father was like St. Francis of Assisi – animals couldn’t resist his aura.’ The Spanish painter, sculptor, printmaker and ceramicist had an enduring love of the animal kingdom. 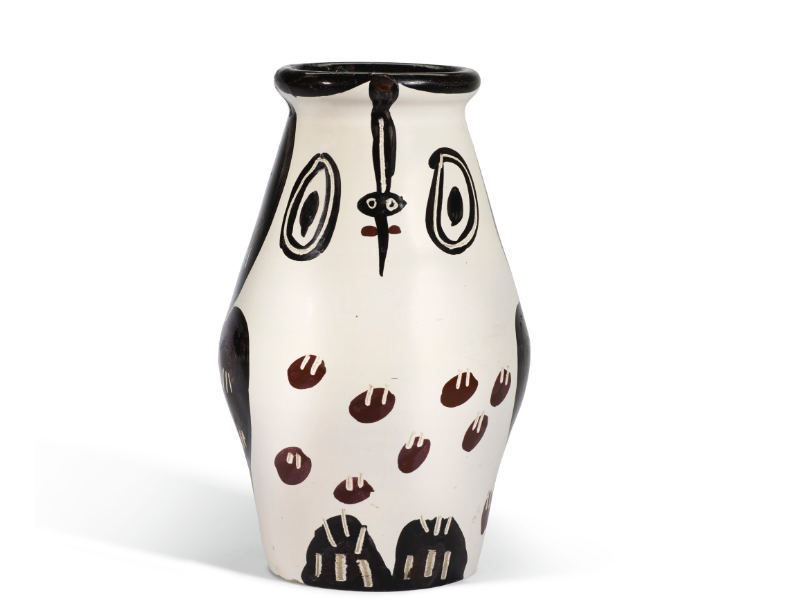 Sotheby’s is offering works inspired by the artist’s beloved owl, Ubu, and goat, Esmeralda, alongside whimsical interpretations of birds, bulls and mythological creatures. See more about that auction here. 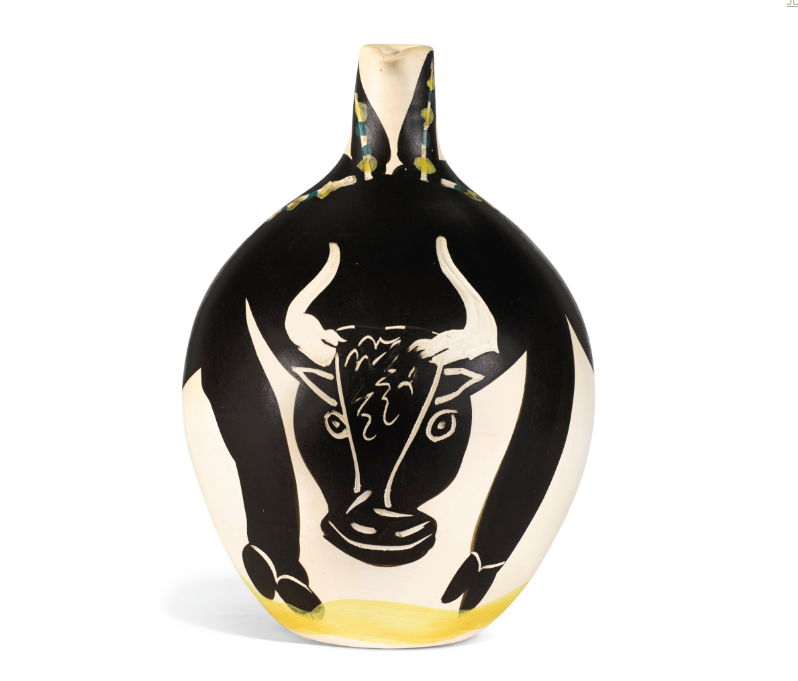 A lifetime animal lover, Picasso incorporated animals into even his first-known drawings as a young student in Spain, Sotheby’s notes. As an adult his menagerie of pets, which included a goat who roamed his estate grounds, an owl with whom he shared his studio, and the faithful dachshund he affectionately named Lump, provided subject matter and inspiration for a multitude of his paintings and sculptures. From those beasts that inhabited his studio, to the bullfighting rings he visited in his childhood, to the sea life found in the nearby ocean outside his studio window, the animal world provided consistently fascinating inspiration for his explorations in both two and three dimensions.